Karyes. 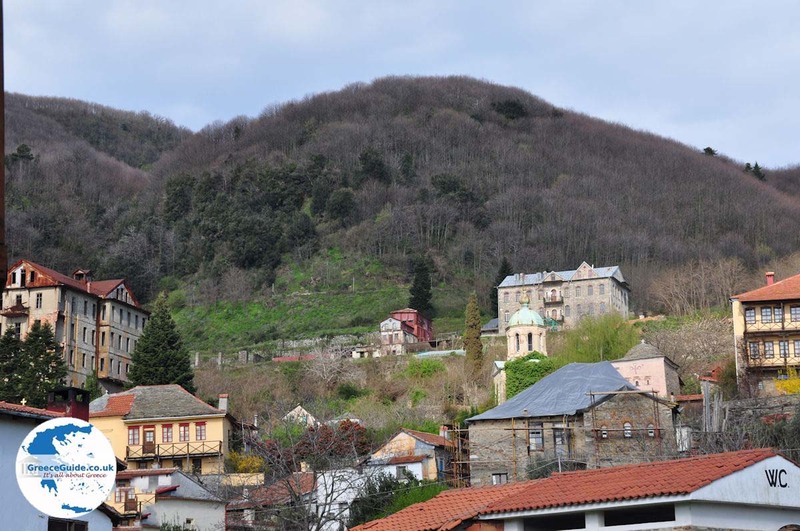 Karyes is the administrative capital of the Holy Mount Athos in Halkidiki. 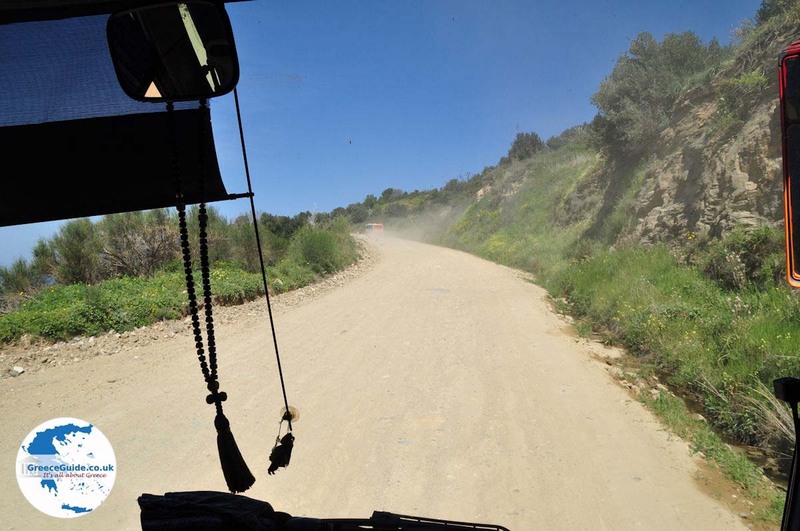 It lies quite centrally on the Athos peninsula, half an hour by bus from the port of Dafni. 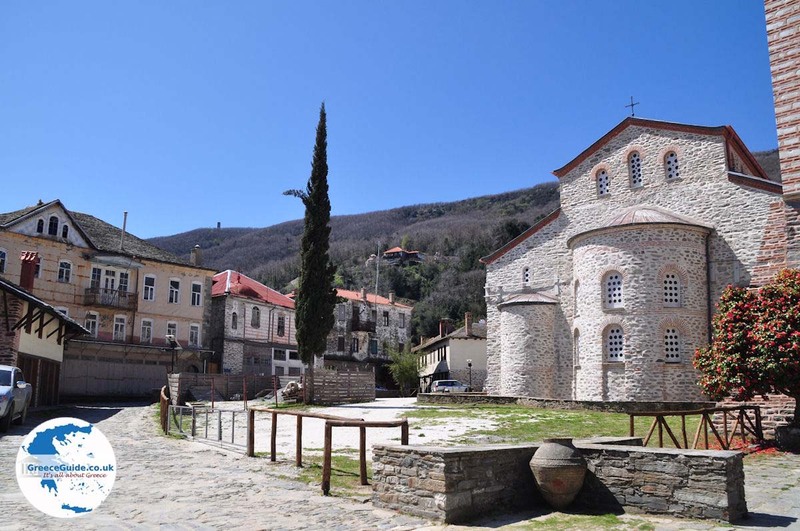 It was formerly known as the hamlet "Mesi.” In Karyes are some shops where you can buy icons, books and other gifts. 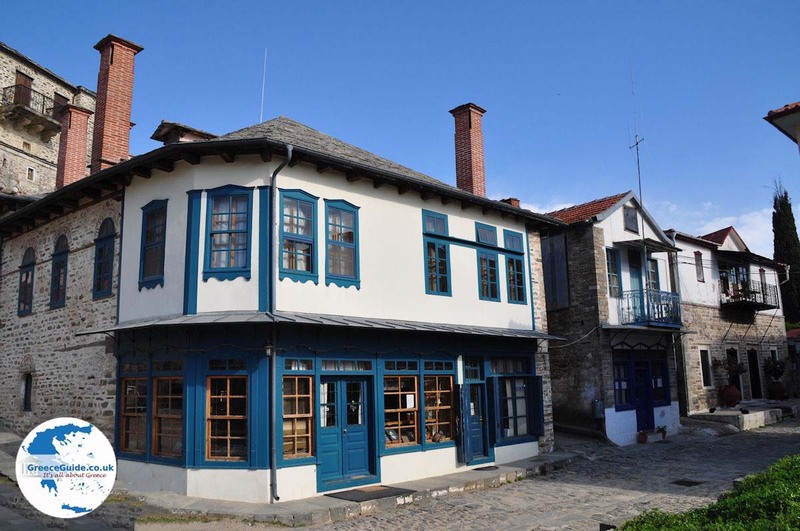 There is also a café, a police station and a post office. 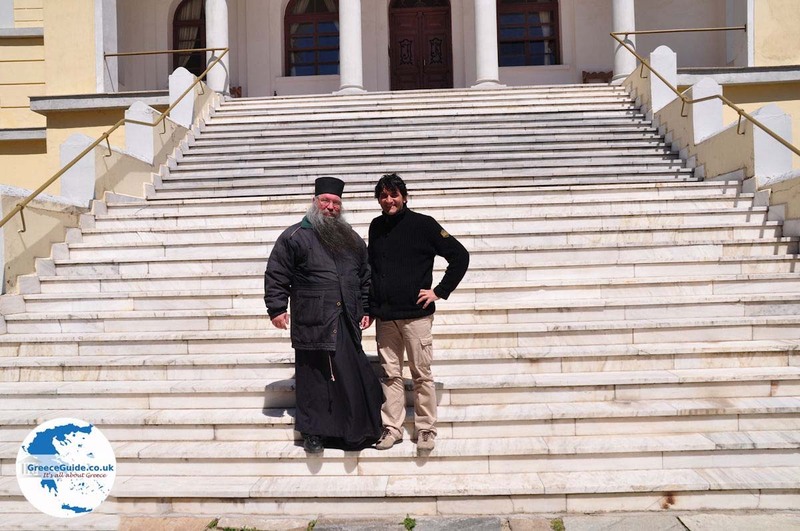 There is a large building which houses the Holy Community, where 20 delegates of the 20 monasteries gather together. 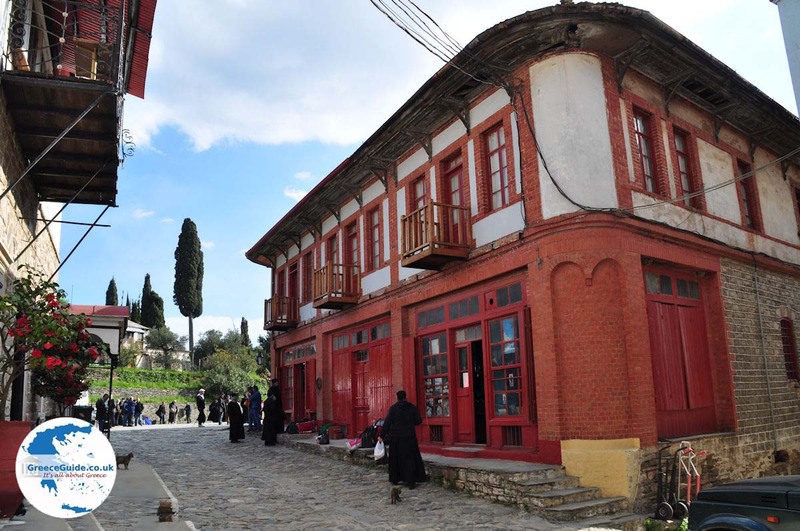 In Karyes are 19 buildings where the delegates of the 19 monasteries stay. 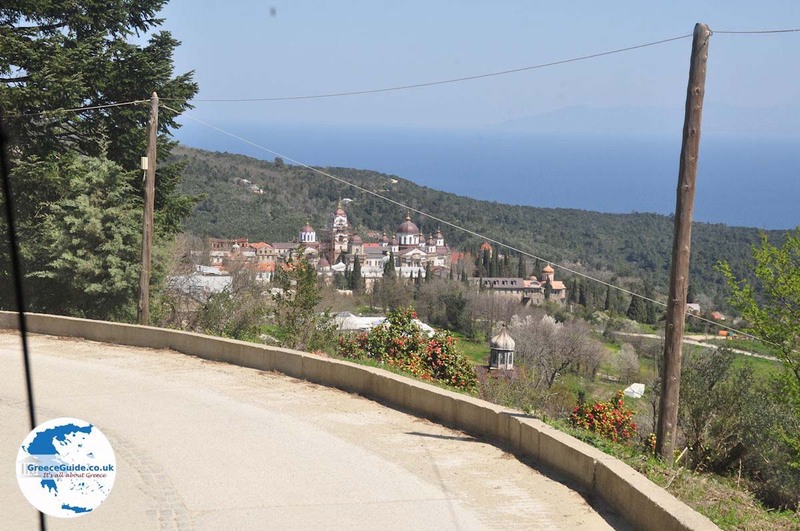 Only the representative of the monastery Koutloumousiou has no home, because this monastery is near Karyes. There are several monk cells. 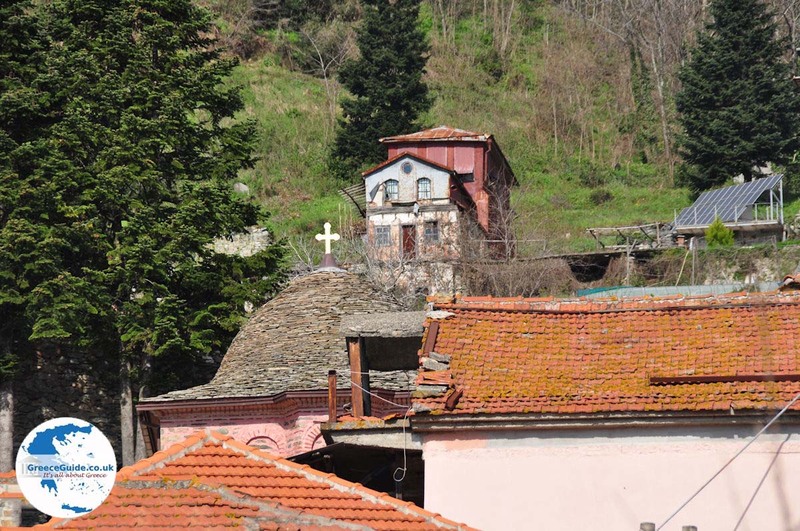 Opposite the town hall of Karyes is the Protato Church. 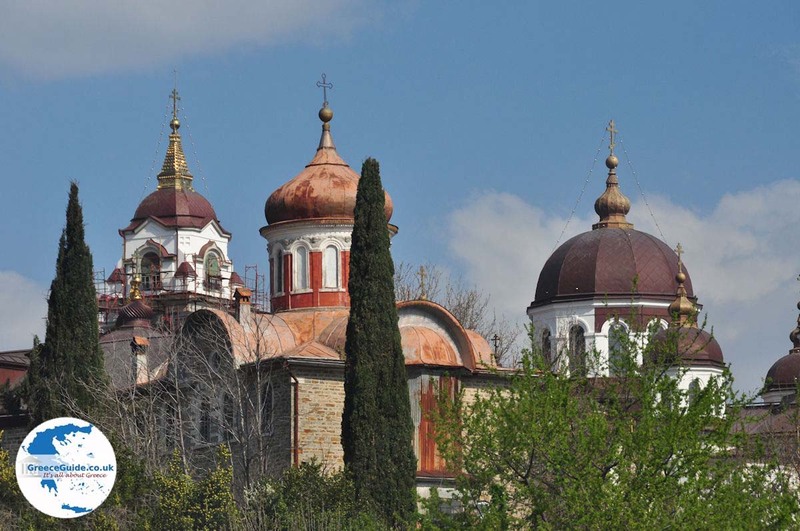 In this church is the famous icon of "Axion Esti." 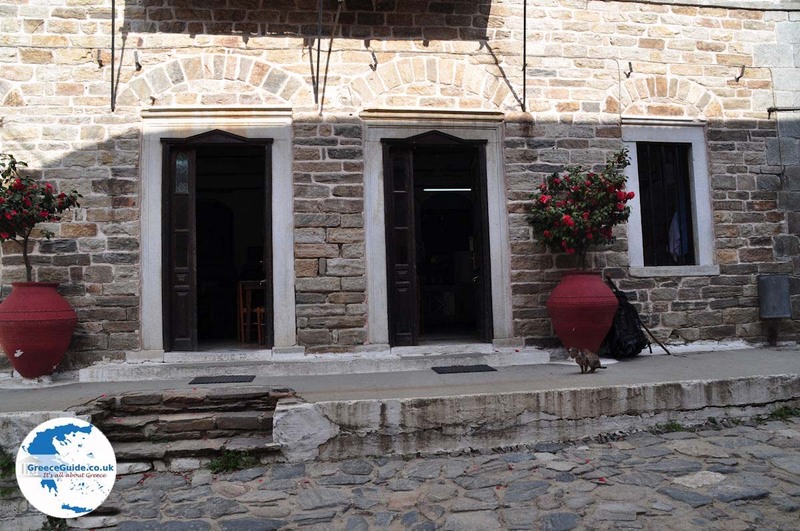 Also, there are see significant murals of the Macedonian (14th century) and the Cretan School (16th century). 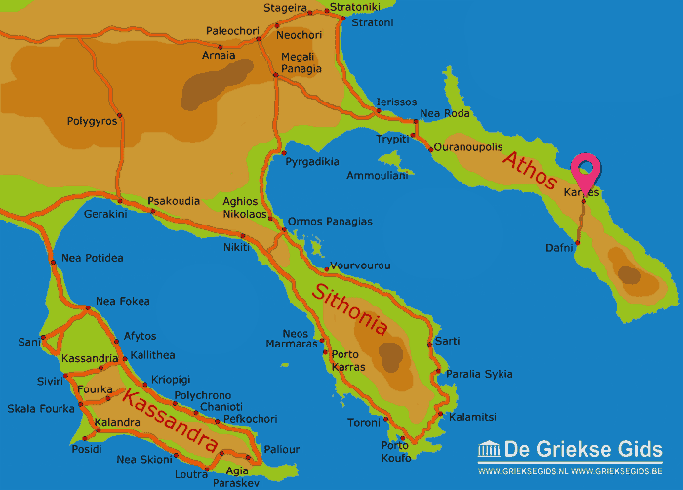 Halkidiki: Where on the map is Karyes located?